Community Medical Center, Missoula, MT. The sale of Missoula's Community Medical Center faces more scrutiny before it can be given final approval. MTPR's Eric Whitney reports. A Missoula Community Medical Center board member says the only issue left to resolve in the sale of the hospital is whether $10 million from the sale can go to the University of Montana Foundation. But Attorney General Tim Fox appears to be taking a broader view. Fox approved the sale late Monday. He has jurisdiction because Community is a non-profit hospital, and is being sold to a for-profit partnership between Billings Clinic and RegionalCare Hospital Partners. State law says the purchase price has to be put back into a charitable organization with a similar purpose to the hospital. Fox approved the sale for approximately $75 million, but hasn’t yet decided on the plan Community Medical Center, or CMC, sent him for how to distribute the money. "Our office didn’t get a proposal from CMC until I believe December 15, and in keeping with our feeling that these types of decisions should be made in a transparent way, and that the public should be allowed to weigh in, and that we should have the time as an agency to properly review the decisions that they expect to make, we decided that we would approve the transaction, but not the plan for distribution until we've had such time to properly review it, and also allow the public to review it and comment." Fox plans to make a decision by February 27. Community’s board has proposed putting about $65 million into a new, health-focused foundation to be based in Missoula. The hospital’s Vice Chair Scott Hacker says they considered directing the money to an already existing non-profit. "There wasn’t a foundation out there that really had the same mission. For example, there’s the Montana Health Care Foundation, which is a foundation that was formed for the sale of Blue Cross-Blue Shield. The difference between that foundation and what we're trying to do is our foundation's solely focused on Community Medical Center's service area, which is essentially Western Montana, whereas Montana Health Care Foundation is a state-wide foundation. That's the primary reason we didn't go with them. Second reason, in that case is they're newly formed and we really couldn't look at a track record at this point." A letter from Attorney General Fox appears to approve Community establishing a new foundation to take the bulk of the proceeds from the hospital sale, but Fox says he’s still working out the details. "Y’know it was proposed that the attorney general would appoint some of the members of the new foundation. We're negotiating with them over that. We don't have the final terms. That was not something that my office or me sought." Community’s board is proposing to give $10 million from the sale to the University of Montana Foundation to use to train health professionals. CMC Board Vice Chair Scott Hacker says that’s in part because it’s going to take some time for the new foundation to get up and running, he says it probably wouldn’t start looking at funding opportunities until at least August. And what we saw in the University is having, is a plan where we could put some money to use in the near term. Along the lines of what Community Medical Center is doing today in terms of improving population health. We've been working with them and they've laid out a very good program of a way to do that, get the money to work here over the course of the next year or so." Attorney General Fox says he needs more time to consider Community’s proposal to give part of its sale’s proceeds to the University Foundation, and that he welcomes more public input on that idea. Monica Weisul is a Missoula resident with long ties to Community who’s already been giving Fox lots of input. She praised his work on the deal so far, but hopes he’ll reject the proposal to give part of the money to the University Foundation. "I just think the money belongs to the people and not the university. And again, I'm a big UM supporter. We donate to them, but the hospital money belongs to the people, not to the university." 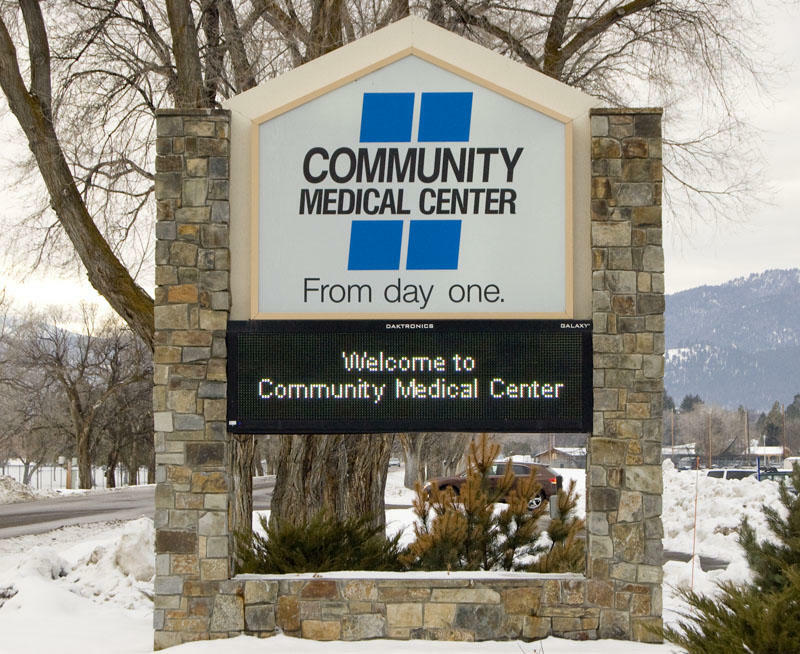 Community Medical Center in Missoula announced today that it has reached an agreement to sell its assets for 67-million-dollars. The 151-bed hospital is selling to a partnership between Billings Clinic and a Tennessee-based hospital management firm. The agreement, if approved by Montana Attorney General Tim Fox, would transform Community Medical from a not-for-profit corporation into a for-profit hospital. John Barnes, a spokesman for the attorney general, explains why his office is involved. Anyone opposing, supporting or just curious about the pending sale of Missoula’s Community Hospital will have a chance to weigh in next week. Billings Clinic and RegionalCare Hospital Partners are buying the non-profit Medical Center for over $67 million; that’s if the deal is approved by Montana Attorney General Tim Fox. Spokesman John Barnes says the AG's office isn't legally required to hold public forums on the proposed sale.